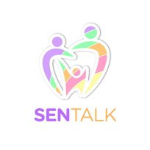 Join the Sen Talk CIC team and other parents/carers raising children with ASD, ADHD and other SEND (special educational needs and/or disabilities) for a coffee and chat. Find out what is going on in borough to support your child’s needs. Get support from like minded people. Sen Talk are now running a monthly Parents/Carers Coffee Morning at the Katherine Low Settlement. These are monthly 10:00 am to 12:00 noon. We are a voluntary organisation that relies on donations and grant to support our work. Occasionally we may ask for a voluntary contribution towards our cost. please seek to us directly, if you are unable to meet the costs. To use this service you can just drop in, when the cooffee morning is running.